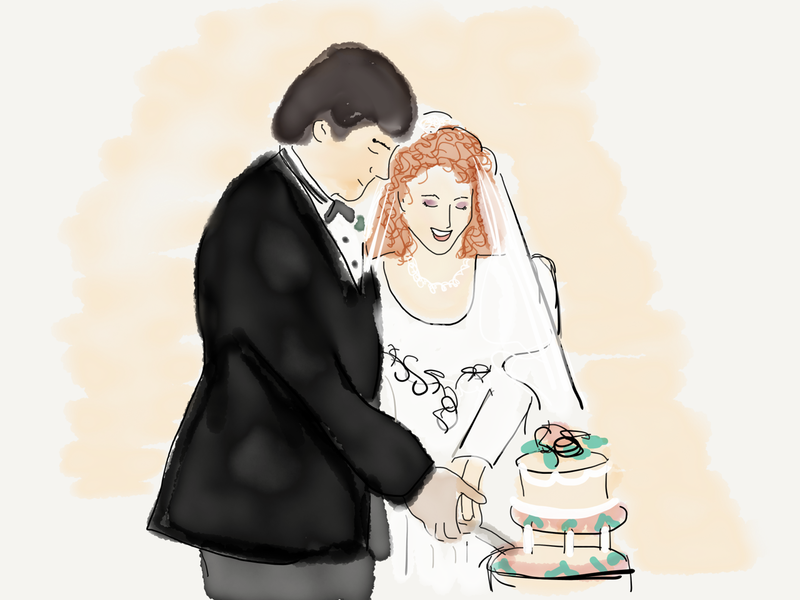 Soulmates are a myth: a view from the 30th wedding anniversary. From young married people, there is a great deal of "Awww...." with a light shining in their eyes that one day they will be saying the same thing. From single friends, I hear "you are so lucky to have found each other so young." We all have this desire to find our soulmate. To reach the life movies and novels promise, spending forever with someone we can love and count on for a lifetime. But reality isn't the fairy tales that were told to us. We have so many emotions about this. There is a volume of longing, and hope and sorrow. Is happily ever after really so far out of reach? Do only a lucky few pull it off? Is there some hidden formula that we have to approach super-hero level to uncover? We are taught the myth of "the one." I hate the word "soulmate." We've been taught this idea culturally in movies, music and the stories married people tell. But what if there is no such thing? After all, the idea of a soulmate implies we are half people looking for the one person who is our missing puzzle piece. Life is complex. What happens to us if there is only one half to make us whole and that person dies, or marries someone else, or moves to a place we are never going to visit? It's a needle-in-a-haystack idea which produces cynicism and despair. Every date throws our "the one" meter into a constant state of confusion. He/she said that, surely he/she is not the one. I can't stop thinking about him/her. Surely he/she is the one. He/she is a different religion, surely he/she is not the one. I'm so happy when I'm with him/her. Surely he/she is the one. If we really are people looking for that single other soul we match with, then what happens when we get married and have our first major fight? The one that isn't about socks on the floor or overspending on a purse. The one that is about some core difference that will likely never be resolved? 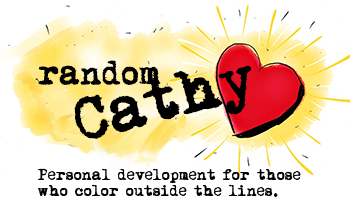 What happens when we find ourselves attracted to someone else out of the blue? Oh no! Is THAT the one? Did I make a terrible mistake? Or what if we put off making a deep commitment and choose living together over marriage because we aren't 100% sure we've found the other half of ourselves. Our cultural narrative about "the one" puts our focus on the person we are looking for and removes the focus from ourselves. We pour our energy into finding the one, evaluating if our potential partner is the one, or worrying that the person we've committed to couldn't possibly be the one when things are going way wrong. The friction isn't about choosing the wrong person. CLEARLY WE HAVE CHOSEN THE WRONG PERSON. I confess I had this thought often in our first 10 years. So much of us has to grow and change to have deep openness with someone else. We are all damaged in some way. We all have preferences about how things should be. Friction reveals our damage with pinpoint precision. It is painful, uncomfortable and exposing. It isn't friction's job to reveal our mistake by showing us why we've chosen so poorly. Its job is to reveal the wounds and blind spots inside ourselves that we've never dealt with. If we buy into the idea of "the one" we miss out on what's really possible. What if we didn't have this idea of a soulmate? What would love look like then? Would we stop putting so much pressure on our romantic partners to make our lives everything we want them to be? Would we have a deeper appreciation for everything our partners bring into our lives with all of their quirkiness, misgivings and essential beauty? More importantly, if we stopped looking for "the one", would we pour more energy into becoming "the one"? The hard reality is that the only person we can change is ourselves. Whether married or single we don't have to give control away to the whims of some elusive soulmate or passively wait for a magical movie moment. We have the power to become. To stop trying to change our partner to get the life we want and start changing ourselves. And when the focus moves from looking to another human for fulfillment to creating it within ourselves, you know what happens? Our romantic relationships become pretty amazing. Stop looking for "the one" and start becoming "the one." The problem with the soulmate-paradigm is that it isn't achievable. But you know what is achievable? Becoming the kind of person who is open enough to deeply connect with and love another human being. To be fair, this isn't easy. It requires us to develop our black belt in forgiveness. (Not just with our partner, but for ourselves.) It requires us to deal with childhood hurts. To ditch our normal patterns of closing up, fighting or fleeing when the inevitable conflicts arise and to work through our crap no matter how painful or shocking. I'm convinced when we partner and marry it is less about the search for "happy" and more about transformation, because, inevitably, the person we choose is the one with the uncanny ability to trip our baggage. And that's where we have the opportunity to uncover what a soulmate could never deliver. That place where our growth lies. Where we discover who we really are. Not our defense mechanisms. Not our history. Not our aspirations. But that beautiful part of us that was wounded and can open to healing. The people we love can be the brightest lights in uncovering what holds us back and inspiring us to go beyond it. What happens when you engage this process over 30 years? What you create is a sense of belonging that can't be manufactured in a heartbeat. You wind up with the one person who deeply "gets" you. You become family in the very best sense of the word. Maybe I don't believe in soulmates because John and I "had" to get married. We knew we weren't living a fairy tale so we didn't look for one. What we wound up with is something deeper than what the movies are selling. "Best friends" is too light of a phrase for it; and "lovers" isn't enough for the depth of intimacy. In fact, I don't have good words at all for this because it isn't a feeling. It's a way of being. As physical and spiritual as it is emotional. So ditch the illusion of soulmates and engage deeply in being open and vulnerable to love. It's a process you have full power over. Become the one.